Through careful study of an ancient ancestor of modern turtles, researchers now have a clearer picture of how the turtles’ unusual shell came to be. 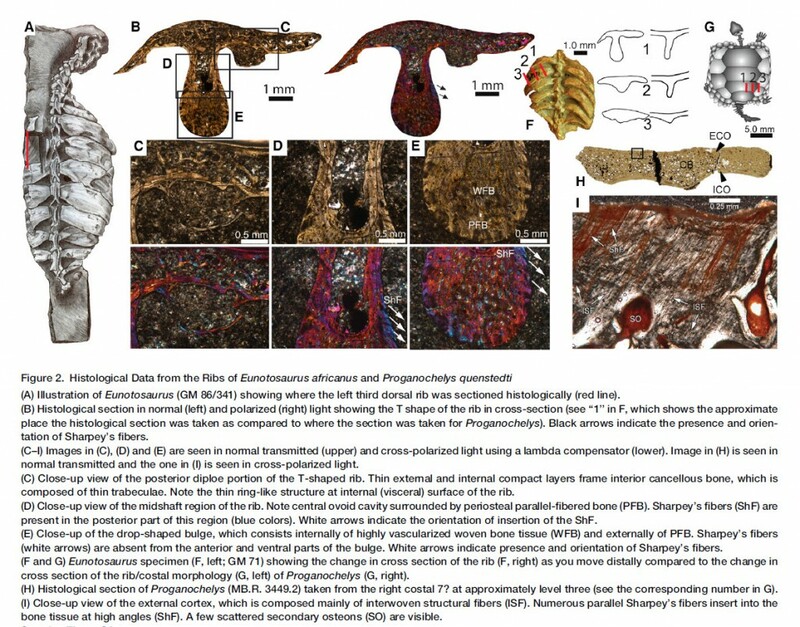 The findings, reported today inCurrent Biology, a publication of Elsevier’sCell Press, help fill a 30- to 55-million-year gap in the turtle fossil record through study of an extinct South African reptile known asEunotosaurus. The turtle shell isn’t really just one thing — it is made up of approximately 50 bones. Turtles are the only animals that form a shell through the fusion of ribs and vertebrae. In all other animals, shells are formed from bony scales on the surface; they don’t stick their bones on the outsides of their bodies. [pullquote align="right"]If you incorporate your ribs into a protective shell, then you have to find a new way to breathe[/pullquote]“The reason, I think, that more animals don’t form a shell via the broadening and eventually suturing together of the ribs is that the ribs of mammals and lizards are used to help ventilate the lungs,” Lyson said. “If you incorporate your ribs into a protective shell, then you have to find a new way to breathe.” Turtles have done just that, with the help of a muscular sling. Eunotosaurus takes the turtle and its shell back another 40 million years or so. It had nine broadened ribs found only in turtles. And like turtles, it lacked the intercostal muscles running between its ribs. But Eunotosaurus didn’t have other features common to Odontochelys and turtles, including broad spines on their vertebrae. Dr. Lyson and Dr. Bever noted that the origin of the turtle and its shell have been controversial. Scientists disagree on where turtles fit on the tree of life, said Dr. Bever, in part because of a disagreement stemming from the lack of clear transitional fossils – those animals whose remains indicate an intermediate state between ancestors and descendants. 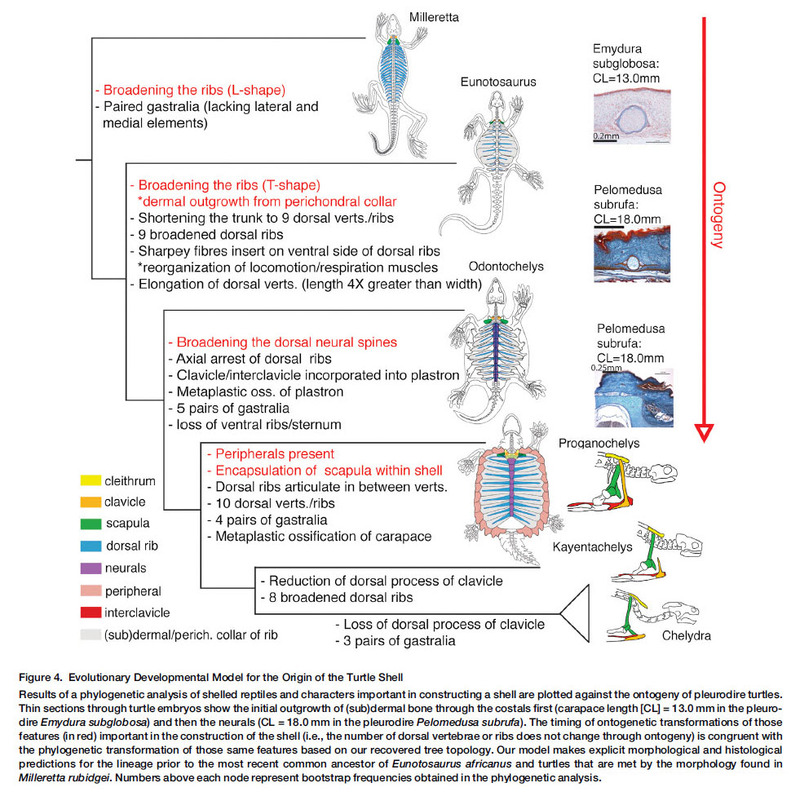 Bever added that the differences between molecular studies of living animals and anatomical studies of fossils and living animals also contribute to the disputes about turtle origins. Dr. Lyson said he and his colleagues now plan to investigate various other aspects of turtles’ respiratory systems, which allow them to manage with their ribs locked up into a protective outer shell. “It is clear that this novel lung ventilation mechanism evolved in tandem with the origin of the turtle shell,” he said. The study, titled "Evolutionary Origin of the Turtle Shell," was led by Dr. Lyson, who is a postdoctoral researcher at the Smithsonian Institution. Previously, he researched the origin of turtles for his dissertation at Yale. He has spent much of his life digging on his family's land in Marmarth, North Dakota, in a fossil-rich area known as “Turtle Graveyard.” Three years ago in Montana, he led theteam of Yale scientiststhat discovered a fossil of a dinosaur from a period just before a massive asteroid struck 65 million years ago, supporting the theory that the asteroid, and not extinction, killed off the dinosaurs. For his PhD, he studied under ProfessorJacques A. Gauthierof Yale's Department of Geology and Geophysics, who is a co-author on this study. 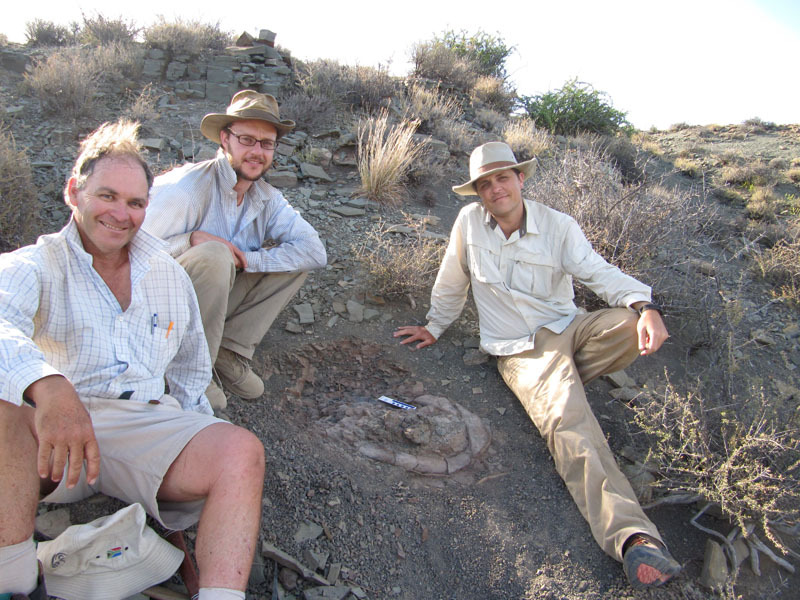 Co-authors are Dr. Gabe S. Bever of the New York Institute of Technology, College of Osteopathic Medicine, Old Westbury, NY, and the Division of Paleontology, American Museum of NaturalHistory; Dr. Torsten M. Scheyer of the Palaontologisches Institut und Museum, Universitat Zurich; and Dr. Gauthier and Dr. Allison Y. Hsiang of the Yale University Department of Geology and Geophysics. What a great Article! As caretaker of the #VMware turtles here in Palo Alto, CA., my interest in this amazing animal knows no bounds. Especially after this read - thank you!